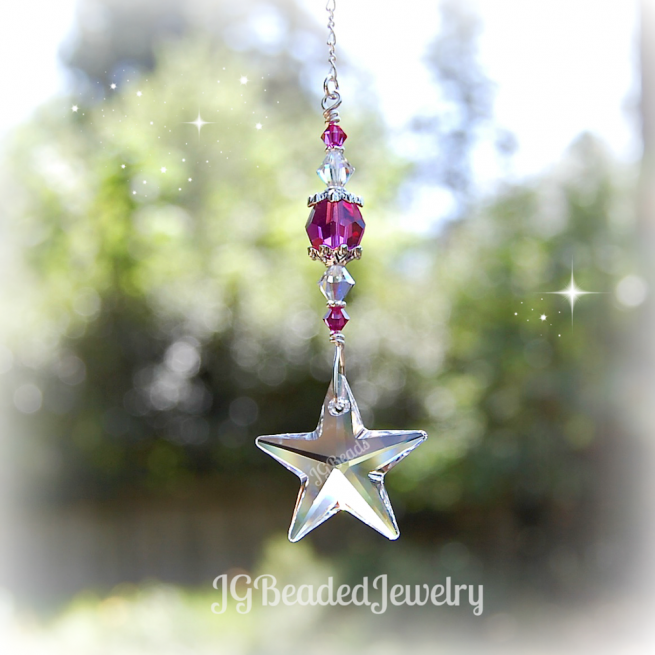 This pink Swarovski crystal star decoration is uniquely designed with a beautiful and flawless 28mm clear Swarovski crystal star. 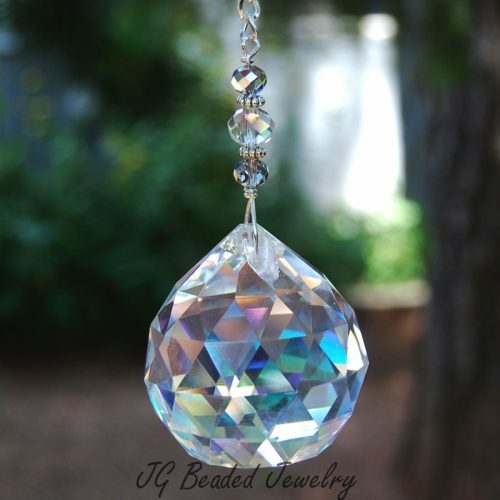 It is wire wrapped by hand with pink and iridescent Swarovski crystals along with fancy silver metal beads. 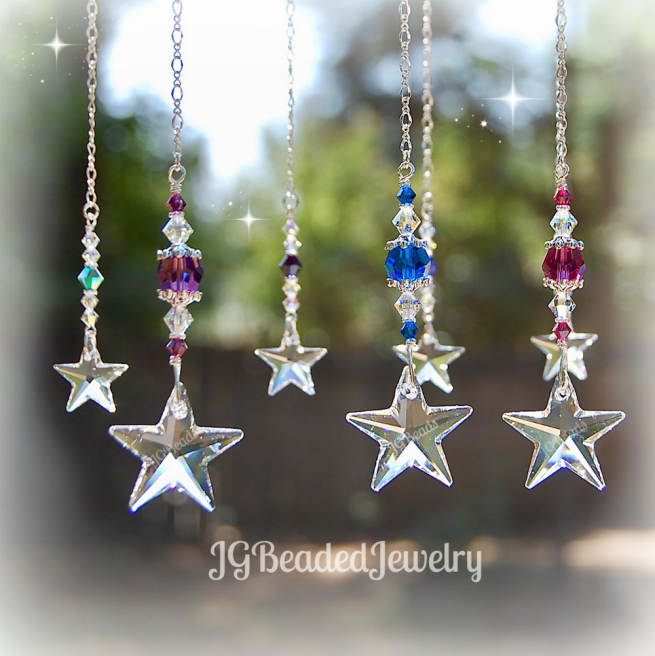 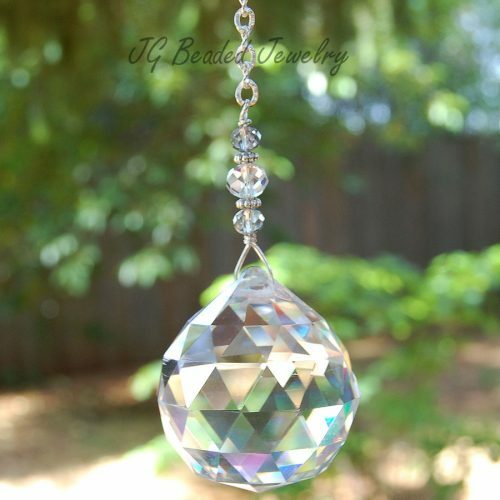 ♥ This beaded Swarovski star crystal decoration is approximately 3″ before the chain or hook is added.